There’s a right and a wrong way to handle a car accident. The right way will see you getting the compensation you need to recover from your injuries, treat any long-term injuries, replace your vehicle and even get you back any lost income. The wrong way will see you play into the hands of the insurance company and sign a settlement that could financially ruin you years down the line. David Milligan does things the right way, and that is why he needs to be your car injury lawyer. If you don’t call a lawyer right after a car accident, you could be tempted to settle when the insurance company calls and makes an offer. However, at this point you may not be aware of the potential physical or psychological damage that could be a result of the accident, which could mean you’re paying out of pocket medical costs years later because you settled for far less money than you could have gotten with the help of a lawyer. The right way to handle a motor vehicle accident is to call auto crash attorney David Milligan as soon as you can after you have received medical treatment. When David becomes your car crash lawyer, he is the one who handles the calls from the insurance company and will help you negotiate a settlement. 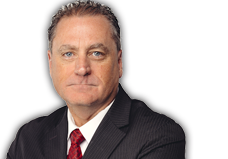 If you’re not happy with the settlement being offered, David is one of the few car accident lawyers who is not afraid to take the insurance company to court. David believes in fighting for his clients and making sure they get the compensation they need to get on with their lives. The importance of calling a lawyer immediately after your accident has occurred cannot be overstated, and the benefits of using David Milligan as your car crash attorney are many. David is a licensed pilot who owns his own plane that allows him to be anywhere in California when he needs to be. David’s reputation as a lawyer who will do whatever it takes to get the insurance companies to pay their fair share, including taking the claim to court, is well-known throughout the industry, and insurance companies don’t want to face David Milligan. 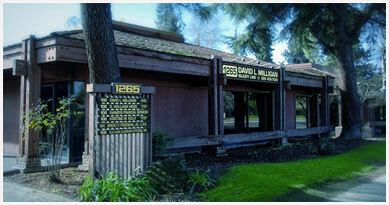 The right way to handle your car accident is to contact major car accident attorney David Milligan right away. David will put in the hours it takes to make sure that your side of the story is heard and you get the compensation you need to recover from your injuries.